If you drive a lot for a living or find yourself stuck in an office cubicle, the soreness in your back, neck, and shoulders can become almost unbearable. Even with proper posture, the simple act of sitting can be very tiring on the body. That’s why the Homedics MCS-510H Total Back and Shoulder Massage Cushion is a good product to consider. 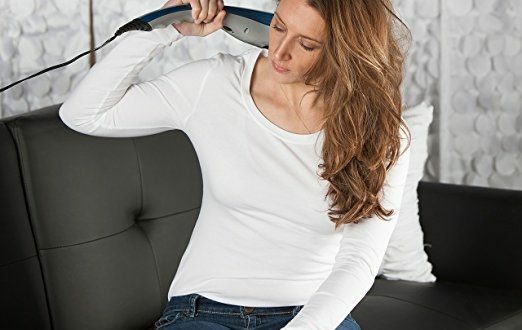 Unlike other massage cushions that only vibrate, Homedics has created a product that uses 4 independent nodes to create a traveling Shiatsu massage experienced. You can create a focused massage for a painful muscle knot, use the rolling massage function, or take advantage of deep kneading action to take away the toughest tension. How Well Does the Homedics Massage Cushion Work? There are four massage zones that correspond to the 4 nodes that allow you to target specific areas along your back and shoulders. It does quite well on the lower back, but taller individuals may struggle to receive the upper back benefits. Unless you’re less than 5 feet tall, there isn’t neck support with this massage product. The materials of the Homedics Massage Cushion are soft polyester, with a bit of a mesh backing, so the product is reasonably easy to clean. There’s some breathing space for your back as well, but their cushion does tend to stick to you if you happen to be sweating. 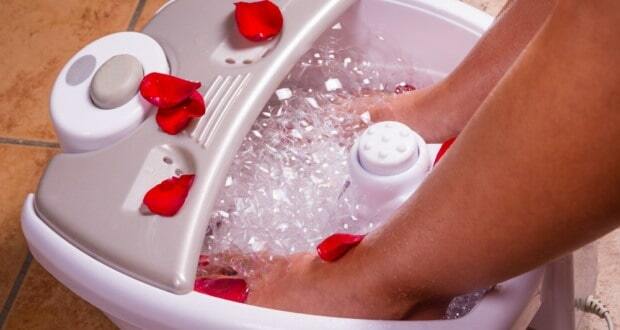 You get to control the heat function and the width of the massage can also be controlled. The programmable remote control is pretty easy to use, though the buttons are somewhat small to the touch. If you wish to change the intensity of the massage, you can remove the cover on the cushion to give yourself a deeper massage experience. Unlike other massage cushions, this model is not intended for use in a vehicle. You could purchase a DC to AC conversion kit to have it work, but the massage action is heavy enough that it could be distracting for a driver. In some states, such as Washington, using this product while driving could qualify under new DWIE laws. The heat function on this massage cushion is nice, but its overall ability to produce warmth is somewhat limited. With the cover on, it can be difficult to even tell that the feature has been activated. This massage cushion doesn’t work on every type of chair. It’s intended more for an office chair or a straight-back chair. Using it in a recliner or on a sofa lessens the massage experience received. The deep massage setting, which provides a circular pattern of massage, can be pretty intense the first few times you use this product. There is an automatic shut-off feature included, so you’ll get about 15 minutes of massage at a time unless you manipulate the controls before the shut-off occurs. There’s a lot of good stuff going on with the Homedics MCS-510H Total Back and Shoulder Massage Cushion. Although it is a one-size-fits-all solution that won’t fit everyone and it doesn’t really massage the neck, it does an excellent job of relieving back pain over time.